General Magic tells the intriguing story of the creation and collapse of the revolutionary technology company of the same name. Founded in 1990, originally as a project within Apple but later becoming a separate company, General Magic worked in secrecy on creating the first of a new breed of handheld communications devices. 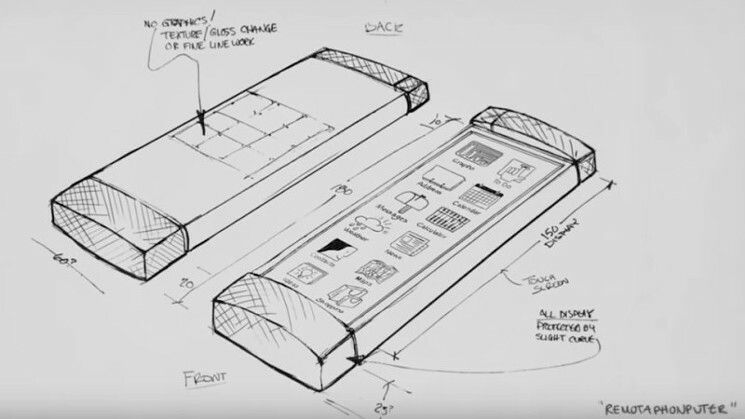 Early conceptualisations of their ‘personal intelligent communicator’ resembled both hardware and software we now see in iPhones but due to technology limitations at the time, the device they ended up creating resembled a primitive iPad. Even though the company had the vision, this is ultimately a documentary about failure and the hard lessons that were learnt. Through a series of interviews with the ‘Magicians’ and footage from the early 1990s, lots of which director Sarah Kerruish says was found in a garage whilst they were making the film, General Magic’s story of failure is revealed. It is right to characterise General Magic (the company) as the right ideas but at the wrong time. There is a striking scene in the film where device designer Megan Smith predicts that one day there will be touchscreens replacing wristwatches – tragically, the company closes down long before that would ever happen. Their flagship device, which in evolutionary terms now seems closer to an Etch A Sketch than a tablet computer, was ground-breaking technology for the time however was a commercial flop. John Sculley, the then CEO of Apple who General Magic considered an ally, beat them to market with the almost identical Apple Newton PDA. A Magician in the film recalls looking at the short customer list for the Magic Link, which was launched months after the Newton, and recognising almost every name as a friend or family member of employees. The film depicts how passion projects often got the best of employees; Magicians would work all weekend on side-projects however lack direction when it came to producing products that could generate profits for the company – with Magicians even rejecting the suggestion of formal managers. General Magic (the film) is not just about the failure of a business. The film explores how the implosion of an all-consuming project impacts other parts of life. Within 12 months of General Magic closing down, the CEO Marc Porat also split with his wife. He spoke in the movie about how he was told by his wife that in the final few months of the company, he went home at night but was rarely present. Despite depicting a hell of a lot of failure on so many levels, the film is anything but depressing. It shows how the collective failure allowed individual successes. 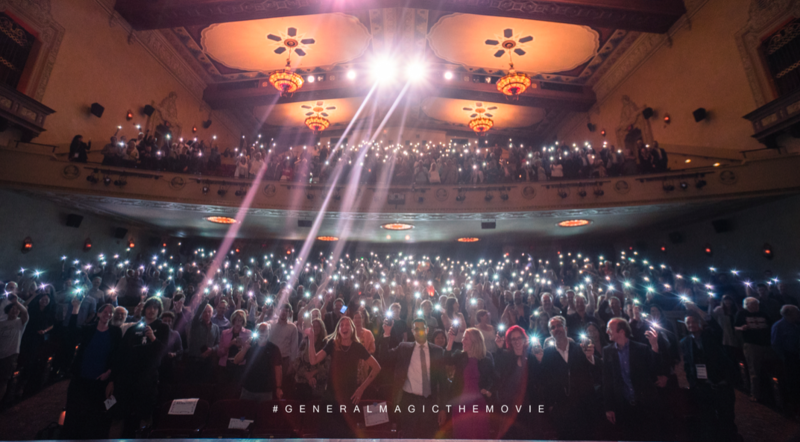 General Magic (both the company and the film) is undoubtedly the best real-life depiction of the platitude: it’s not a failure if you learn from it. I must admit, I had shed a couple of tears of joy and relief at the end of the film when a previous tape is replayed of the company employees sat on the floor in a meeting (as edgy hippy start-up bros do) and the frame freezes, adding captions of what the Magicians ended up doing. It’s unbelievable that a small group working within 15-feet of each other in the early 1990s (in an office that apparently had a rabbit living in it which ran around shitting everywhere) went on to pioneer the world we live in. After General Magic ceased to exist, Andy Rubin went on to invented Android, Tony Fadell designed the iPod and iPhone, Megan Smith became the chief technology officer in the second Obama administration, Andy Hertzfeld designed Google+, Kevin Lynch is the head of software development for the Apple Watch, and countless other General Magic alumni worked at Samsung, Nest, Adobe, Blackberry and Twitter. There’s an amusing anecdote in the film about an engineer at General Magic named Pierre Omidyar. He had an early website before the internet was mainstream which at the bottom had a link to an online auction site he was working on. Early potential investors turned their noses up at the idea dubbing it ‘a flea market’. Regardless, Omidyar continued to work on the project. In February 2018 Forbes reported Omidyar was worth $10.9 billion; the website was eBay. Overall, despite being a true story about technology and business, it is a remarkably touching film. You’ll find yourself invested in the characters and rooting for the success of the company. In a post-screening interview in London, Kerruish admitted that it took until the fourth interview with ex-founder and CEO Porat for him to stop talking coldly about General Magic and start reliving the what he felt. You don’t need to be a geek to understand the film or the challenges for the company, the film is exceptionally executed and wonderfully educates the audience on the significance of General Magic. If we can learn anything from the film, it is that sometimes vision isn’t enough – but huge success can be drawn from failure. General Magic is currently seeking distribution. ← 5 Must-See Fashion Exhibitions!